This is the ShareToMessenger call in the SDK. Set sharing strategy to MEDIA to make animation work. 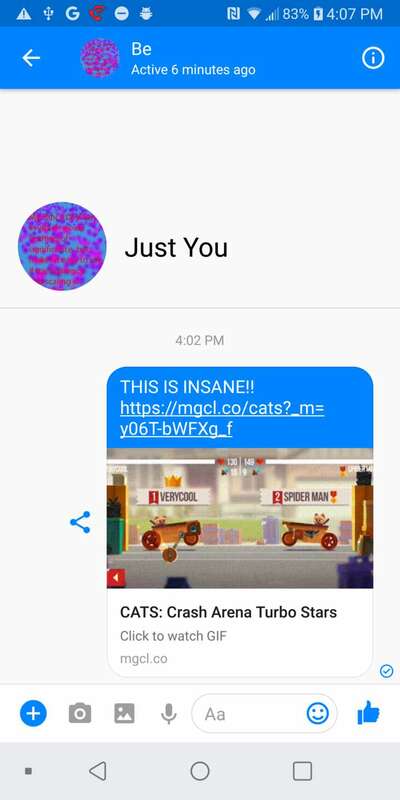 Link preview needs to finish loading before sending the message. 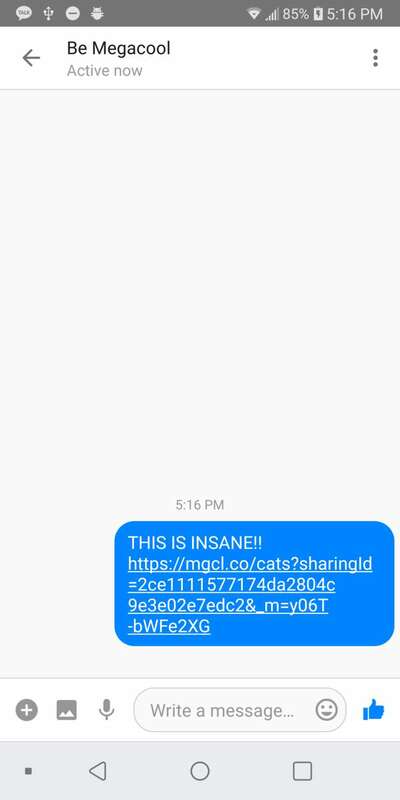 Note that the share callbacks isn't reliable for Messenger as it's reported completed or dismissed randomly by Facebook. Set sharing strategy to MEDIA to make GIFs sort-of work. 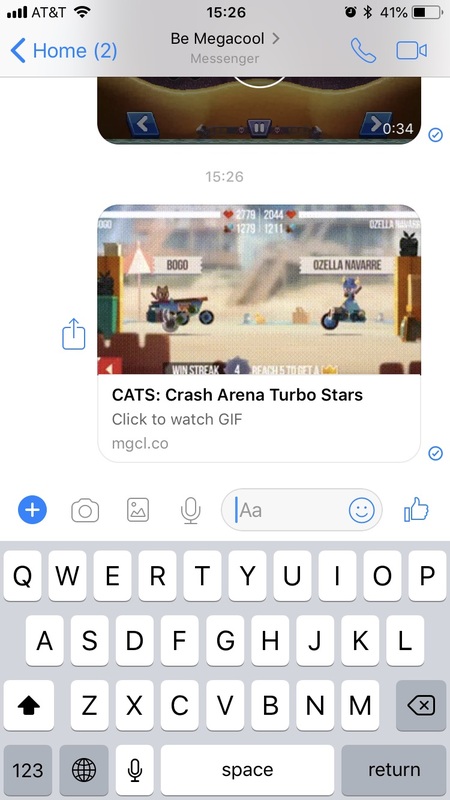 The Messenger Lite app can't show the GIFs it sends beyond a still image, but the full Messenger app or the web app will show properly autoplaying GIFs.